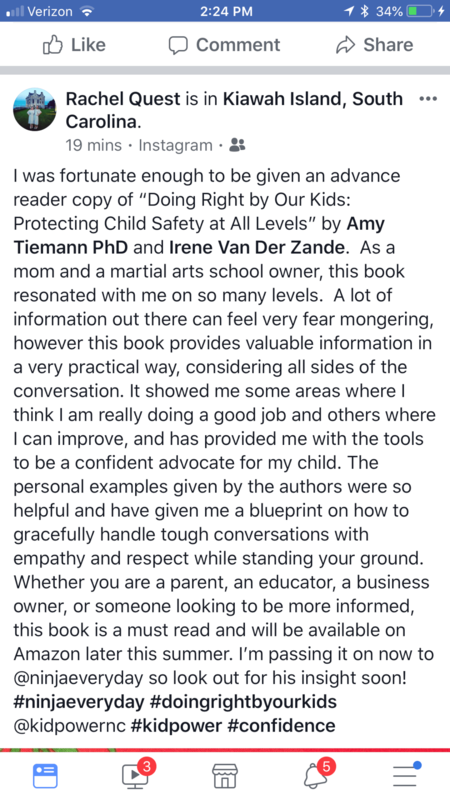 A groundbreaking, #1 Bestselling new book about Protecting Child Safety at All Levels by internationally-recognized child safety education experts. Available in paperback and Kindle on Amazon! 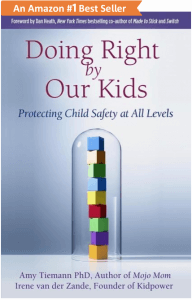 We’ve seen great progress in keeping our kids safe. Yet we still have a long way to go! Research has shown that bullying, abuse, and other harmful childhood experiences cause suffering, both when they occur and throughout people’s lives. Unfortunately, discomfort and lack of knowledge often make it hard to take effective action. Doing Right by Our Kids creates a full circle of safety, getting adults on the same page—in families, schools, organizations, and communities. Use the powerful ‘Safety at All Levels’ model, beginning at home and then extending to neighbors, schools, sports, and beyond. 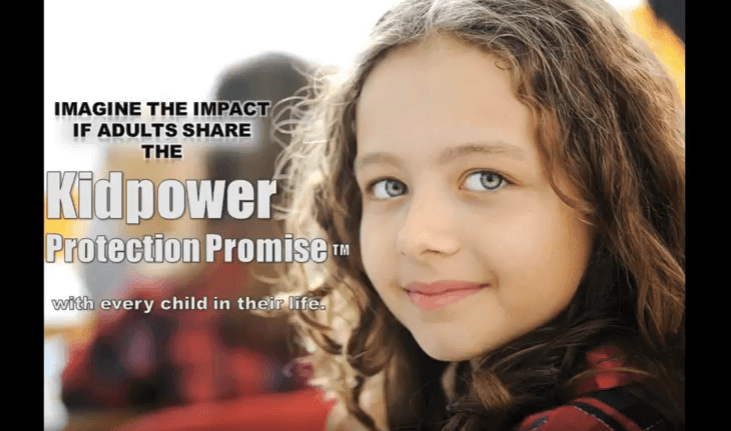 Become a positive, powerful advocate for child safety, confidence, and respect. Recognize potential trouble and take charge of problems that put kids at risk. 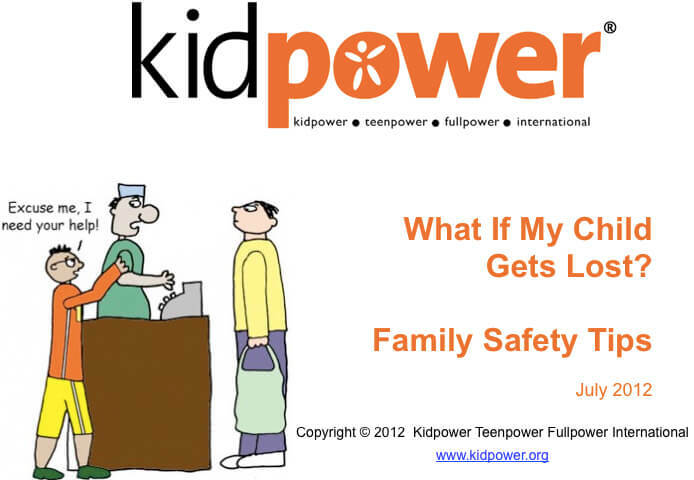 Bonus toolkit: Essential skills, strategies, and practices from Kidpower®, a proven global leader in ‘People Safety’ education for all ages and abilities since 1989. 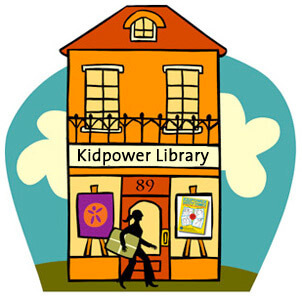 See a listing of Chapters and Comments From Readers below. 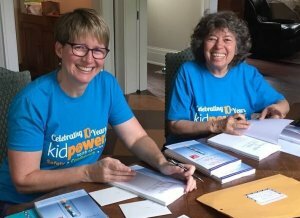 Amy (left) and Irene signing advance review copies of their new book, Doing Right by Our Kids. 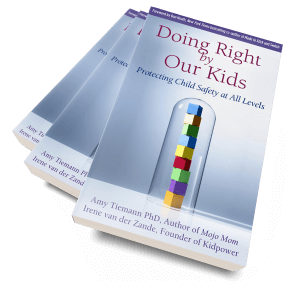 Doing Right by Our Kids co-authors Amy Tiemann, PhD, and Irene van der Zande have reached millions of people worldwide with their messages of personal safety, respect, and empowerment. Social change and parenting expert Dr. Amy Tiemann is a Stanford-trained neuroscientist, the author of Mojo Mom, and an executive producer of socially-relevant documentary films. 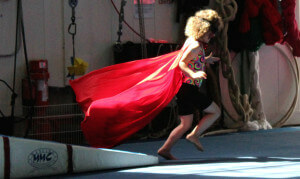 She serves Kidpower International as a Senior Program Leader. 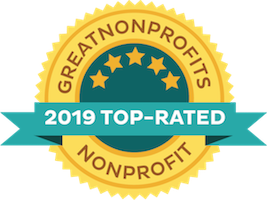 As the Founder, Lead Author, and Executive Director of Kidpower Teenpower Fullpower International®, Irene van der Zande has dedicated over three decades to protecting vulnerable children, teens, and adults from harm while empowering them to take charge of their safety and well-being. List price: $19.99 USD. Order now through Amazon. Please write a review and rate the book. This book is printed and shipped by Amazon. If there are any problems with the quality of the cover, binding, or printing, or if the book is damaged in shipping, Amazon will replace your book. We only post comments from readers who have given us permission to use their quotes, or who have published their comments publicly.